and applies to up to 2 persons. is to be added to the indicated prices. Children up to 5 years of age are free, from 6 years up to 15 years of age the visitor’s tax is € 1,30. Reservations are possible from 4 overnight stays onwards. Shorter stays available on request. During conference periods and on official holidays, separate prices apply. is about eight minutes away, behind the station. Arrival from 16:00 o’clock, departure till 10:00 o’clock. make a prepayment of 30% of the total amount. The lovely Ludwigstraße leads from the station to the Reichsplatz with the old town hall. 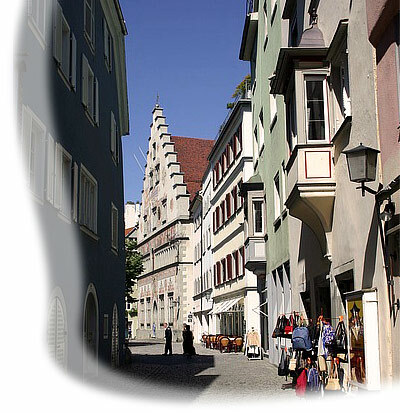 In the beautiful, well preserved old town of Lindau, there are numerous streets of houses from the Gothic period, the Renaissance and the Baroque.